AR Rahman’s Ginga from Pele: Birth of a Legend has made it to the Oscar race in the original song category. Now we have one more song ‘We Will Rise’ from the trilingual film Veeram, directed by Jayaraj Nair also in this coveted list for the Oscar race. Jeff Rona has composed music. We speak to Jayaraj Nair on this exemplary feat. 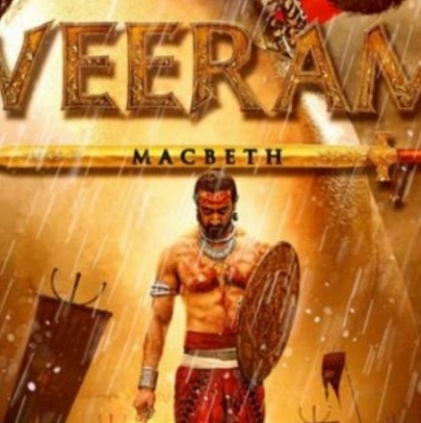 Veeram is inspired from Macbeth and is about 12th century Northern Ballads (Vadakkan Paattukkal). Whenever we are narrating a story based on Northern Ballads, we should definitely have the best technical support. I have seen many interpretations of Macbeth. There is a character in our Northern Ballad, Chandu Chekavar very similar to Macbeth and Veeram will talk about him. When I want to narrate a story globally, I need to have the best technical support. I told my producer Chandramohan and he gave me all the freedom and assured of total support. That was the first trigger for me to go in for Hollywood technicians. Jeff Rona has done films like Traffic, Phantom and has worked with Hans Zimmer and also Steven Spielberg. He was the first person that I met when I wanted to firm up the music composer for Veeram. I sent the story through agents to him and he was impressed. He said that the attitude and approach were very different in my story and agreed to be on board. Jeff asked me if we could have a theme song and wondered about the feel of it. I only mentioned that it should be a tragedy of ambition in my interpretation of Macbeth. We had searched for the apt voice and finally zeroed in on Kari Kimmel. She has a different, wonderful and a haunting voice. She has also contributed to the lyrics. Even without seeing the film, if you listen to the song, you will realize the essence of the film. We are all hopeful that 'We Will Rise' would definitely make it to the last five. Our best wishes Jayaraj Nair and Team Veeram! Bring home the Oscars! Jagga Jasoos - Highly impressive! Nayanthara to help a kid trapped in an underground tunnel? An ‘Iron’ name for Saif-Kareena’s son! Bairavaa producer reveals 4 major highlights of the film! Actor Vidharth Of Veeram Fame Is Getting Married To Gayathri Devi On June 11th. People looking for online information on Jayaraj Nair, Jeff Rona, Oscars, Veeram will find this news story useful.